and we won’t stop. we won’t stop having fun. we won’t stop living it up. we won’t settle for ordinary when incredible is waiting at the door. a life as grand as this one shouldn’t be wasted on the monotonous and expected. let’s shake it up, and shake it up we did this past weekend. another couple days of fun in the sun and new adventures. 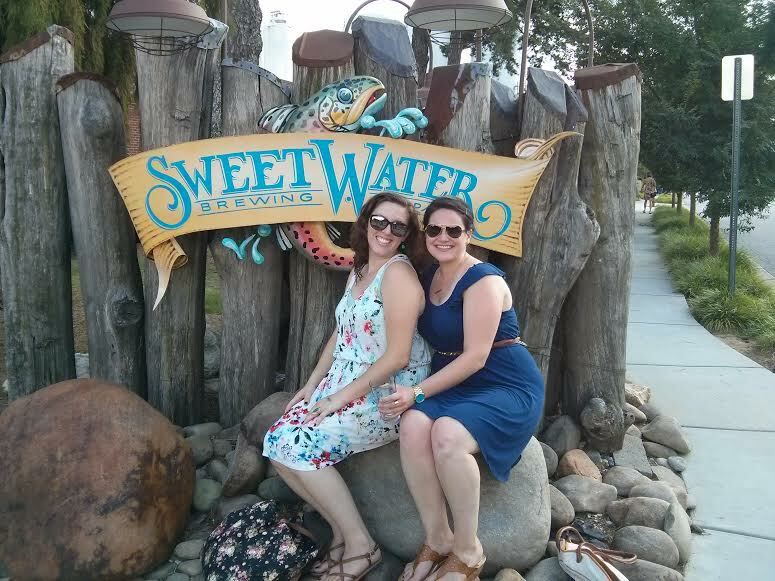 things got started at the sweetwater brewery on saturday afternoon. sarah and i were all lathered up in sunscreen, ready for the sweating that was imminent, waiting just on the other side of the glass. well, they don’t call it summer for nothing. we had some college friends performing at the brewery for all to enjoy, so we couldn’t pass up the chance to see velvet runway live and in person. we parked and strolled on over to get in line, spotting our good friend miles on lead guitar. i felt like a proud parent and overwhelmed groupie all at once. it was like we knew a celebrity! after grabbing our tickets and pint glasses, we headed straight for the bar. it felt like a record-breaking heat wave had come through town; good thing there was endless cold beer to quench our thirst throughout the day. i started with the waterkeeper, which i had tasted elsewhere before then and thoroughly enjoyed. i love a good hefeweizen, and it’s no surprise to see me with one in hand, at reasonable drinking hours, like two o’clock on a weekend afternoon. jeah! this one’s got hints of banana and clove and is a great summer beer choice. perhaps the cooler thing about this brew is that its name alludes to the sponsorship sweetwater has for chattahoochee riverkeeper, an organization dedicated to preserving the quality and life of the chattahoochee river so that it may continue to provide clean water for millions of folks in the southeast. who knew? beer and a show and a lesson all in one place! my first pour didn’t last too long, but before i hopped back in line, i spotted several friends from the redcoat band and even my coworker vinh who managed to make an appearance. it was a bite-sized reunion out there, and it was so much fun to catch up with everyone over good music and good brews. good music, i say? yes, you heard me correctly. velvet runway rocked the whole afternoon, keeping us day drinkers happy with covers of the classics and new renditions of familiar favorites. well done, gentlemen! we shut down the brewery a couple hours later. but, wait! i want one more pour of the sweetwater blue! because if you’ve ever had a taste of that one, you know how delicious it is. oh, well. with the end of the drinking comes the start of the eating, which we were all quite ready to do. 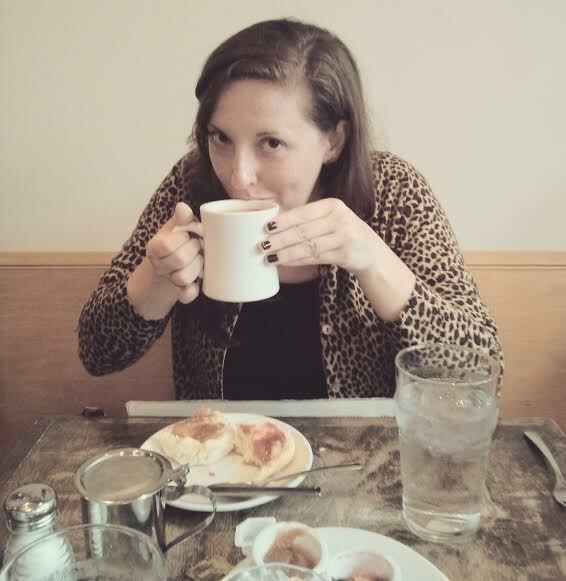 we piled into our cars and met up at the tin drum right near kyle’s apartment in lindbergh. who doesn’t want a crispy egg roll and eggy noodles after an afternoon like ours? the answer is no one. everyone likes to eat tin drum after visiting a brewery. everyone. the air conditioning swept around us with open arms, and to say we were thankful for the cool breeze would be an understatement. ice waters were ordered all around the table. gotta hydrate! 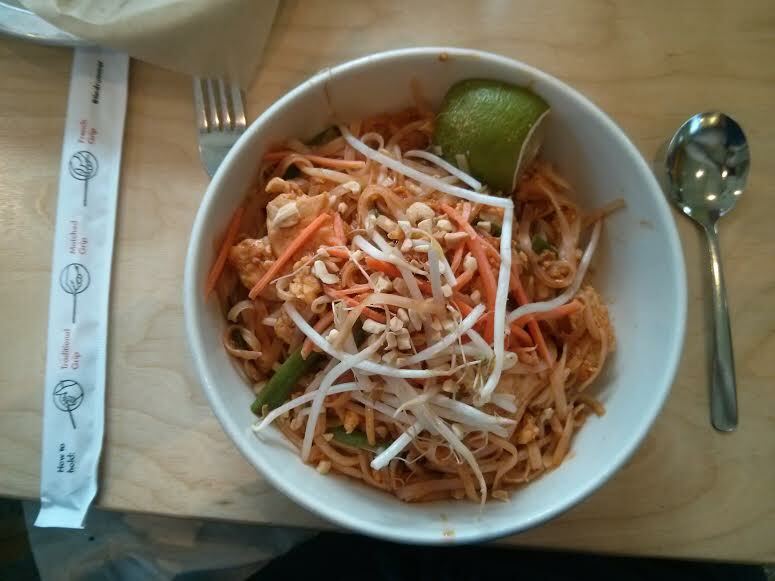 pad thai was also ordered all around by everyone, and it hit the spot. it’s not the best pad thai i’ve ever had, but it was doing the trick that evening. after a long day of sipping and digesting, we went up to the rooftop of kyle’s apartment complex to do, well, more of the same. the sun was finally setting and the breeze was kicking up around us. had you given me a hammock i could have slept up there throughout the night. actually, you want to know who did fall asleep? vinh did. vinh fell asleep so hard that he had the cutest snores. he’ll never forgive me for sharing these pictures of him, so i give you all full permission to snap photos of me while i slumber. i promise you now that it is a charming sight. mouth open, drool down the cheek, soft little huffs. did i mention i’m single…? 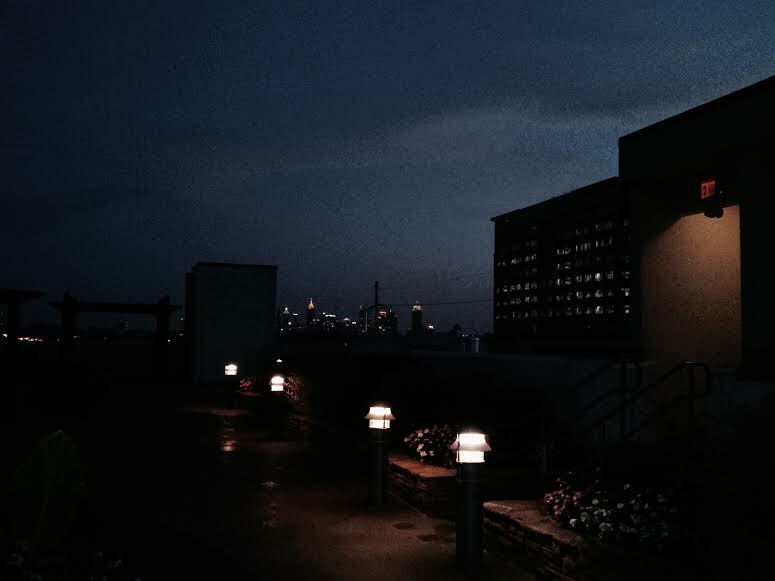 as the darkness seeped in through the city skyline, we wound down the day in a sleepy stupor. having fun can just be so exhausting, can it not? you have delivered yet again, atlanta. i shrugged out of the bed sunday morning. although i was not quite ready to abandon my cozy comforter and pillows (and stuffed animal…), there was lots waiting for us. first on the list was food, because pad thai can only go so far. 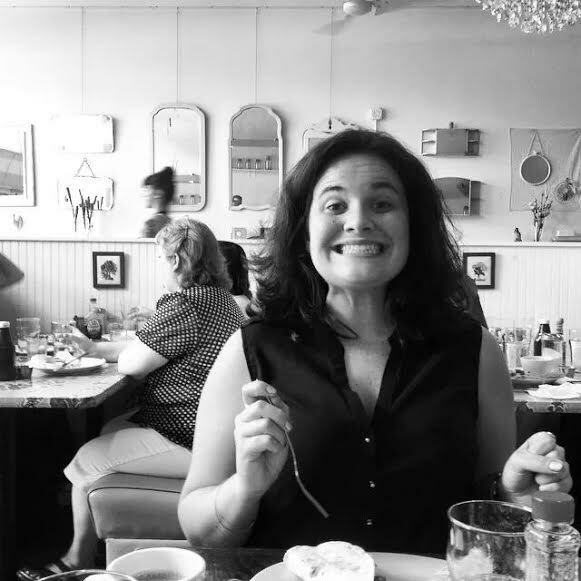 sarah and i usually engorge ourselves on fried chicken and bacon and pimento cheese at buttermilk kitchen, but i wanted to take her someplace new. well, i wasn’t truly in the mood for a new place altogether, so we wound over near emory for some brunch at rise-n-dine. i have been here a couple of times and have always been highly satisfied. perhaps it is the hipster crowd. perhaps it is the delightful and charismatic décor. whatever it is, they can keep doing it, because this place always has a wait that is worth the wait. several mugs of coffee later, we were seated inside. i needed a little something to snack on, so we ordered a couple of biscuits, homemade biscuits to be exact. they were dense and buttery and everything you want a biscuit to be. 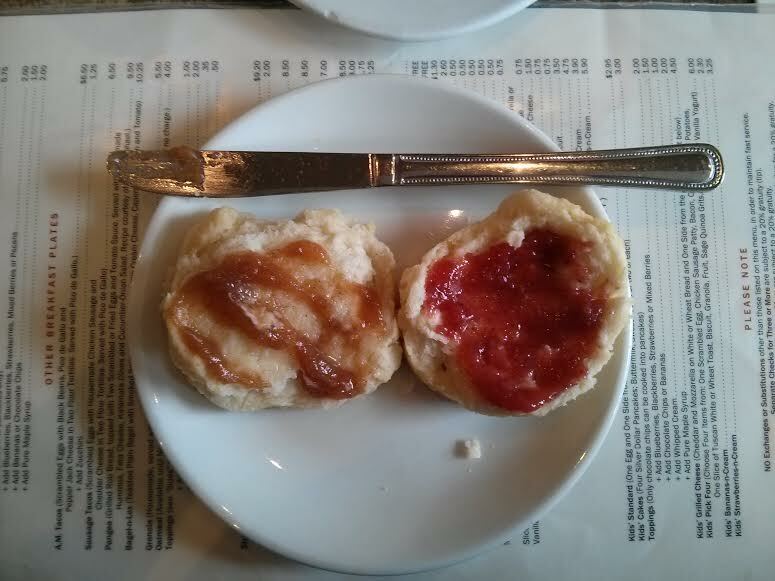 the strawberry jam was a fine topping, but sarah and i both loved the apple butter on top of butter on top of the biscuit. ooh, yes, sir. the waitress took our orders and left us to be. sarah lives west of the city a little ways, so getting to spend time with her is a precious treat. we have been friends for, gosh, nearly seven years, and we still put stitches in each other’s sides. when we’re hopped up on caffeine or ever so slightly tired, there’s no telling what will come out of our mouths. she is witty and smart (did i mention she is a nurse?) and, in ways, my other half. i do not know what i would do without her. she is, and will always be, my huggie bear. the food arrived in a timely fashion, and sarah and i both were a bit intimidated. i forget how big some of the food is here. sarah’s sweet potato pancakes took up the whole plate and tasted like dessert. oh my heavens, it was almost like eating a slice of carrot cake. now, if they only had some cream cheese icing for it… if you aren’t in the mood for such a big serving, get them in the silver dollar size. it’s the perfect little treat! i remember the breakfast tacos being a winner the last time i was there with my mom, so i figured they could be a good choice again. 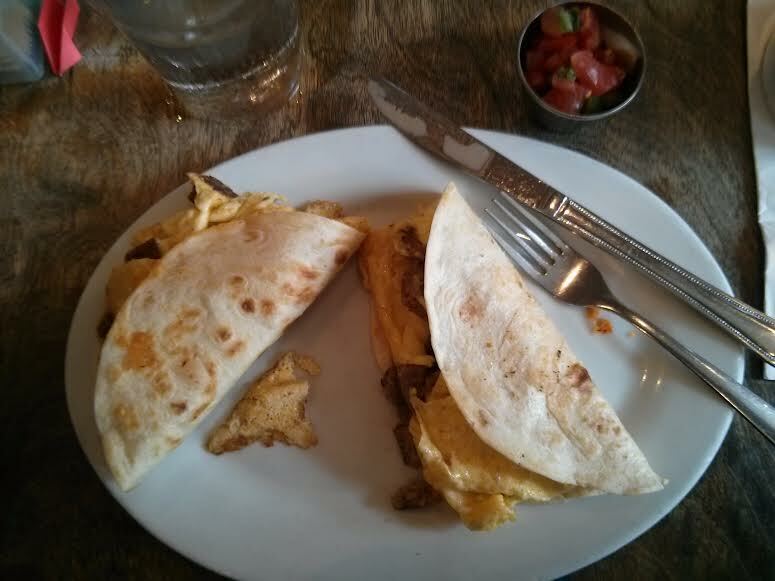 those tortillas were grilled and warm and packed full of delicious breakfast goodness. the chicken sausage was juicy and flavorful, and the pico de gallo really was the perfect condiment. love me some breakfast tacos. our stomachs were satisfied, and although i was full to the brim, i wanted to eat the entire meal again. do you ever feel that way, when you’ve had something that was just so delicious you want to have it a second time immediately afterwards? well, when you find that kind of meal, it’s a fantastic feeling, as you can see. we headed back to the condo, anxious for a bit of a nap before the big event: our friends were getting married! soulmates leah and grant were tying the knot in buckhead that night at my very first jewish wedding, and we weren’t going to miss it for the world. we were black tie invited, so we were all dressing to the nines. and in case you were wondering, us girls don’t just roll out of bed looking flawless every day. those are my wildest dreams. well, maybe not my wildest, but they are out there. it takes hours of straightening, bottles of concealer and hairspray, and countless bobby pins. see what i mean? but! the effort is worth it every time! don’t we look stunning? the wedding was a hit. the bride and groom were just gorgeous, the music was slammin’ (nice work, us beat), the food was outstanding, and the memories we made were the best of all. we’re just all growing up so fast!